This review will be different and therefore will be put in the editorial section. 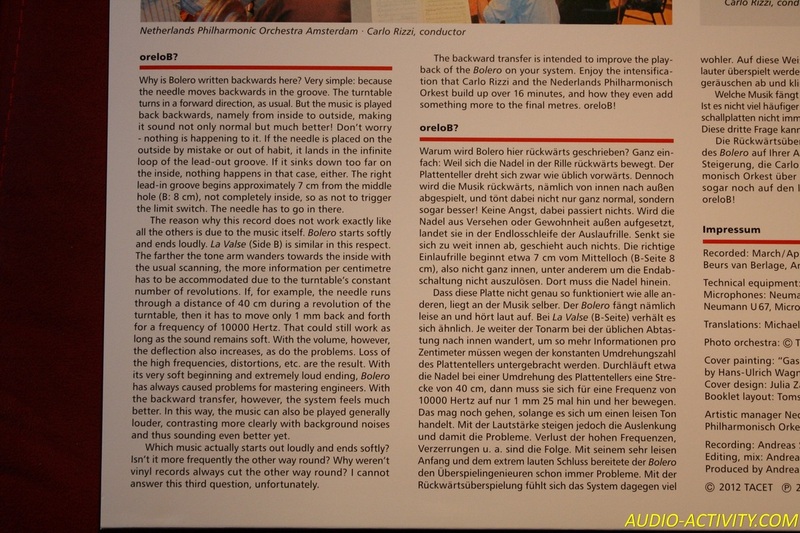 It is intended to highlight the mastering technique and will not deal with the artistic impressions or the recording techniques as we usually do. This record is made in such a way that the stylus reads the groove from the inside outwards. It’s not a matter of reading the groove in the wrong direction to discover hidden satanic meanings or things like this. This record was born this way, to be played backwards. Is it an exaggeration if we define it brilliant? We do not know if there are other examples of this, because we in Audio-Activity were not aware of such a recording technique and all the people we have questioned about the issue did not know either. Let’s take a look at the reasons behind it and let’s find out its importance for classical music. Which is the main dynamic feature of of the recording of a symphony? Very simple, the fortissimo in the final part that undergoes to some distortions due to the low speed of the stylus in the groove and to the reduced space available to modulate it. And here comes the brilliant idea of Andreas Spreer - deus ex machina of Tacet - an inversion of the groove. The part of the composition that needs room and speed is recorded where there is room and speed while the pianissimo in this Bolero is in a position where there are no hurdles for it. Does it work? Yes it does! Timpani, bass drums and winds can explode all together in the external part of the record where there is no problem with the tracking and finding thus a solution to one of the crucial issues of the recordings on vinyl. In the picture that follows, Andreas Spreer explains the technique used. 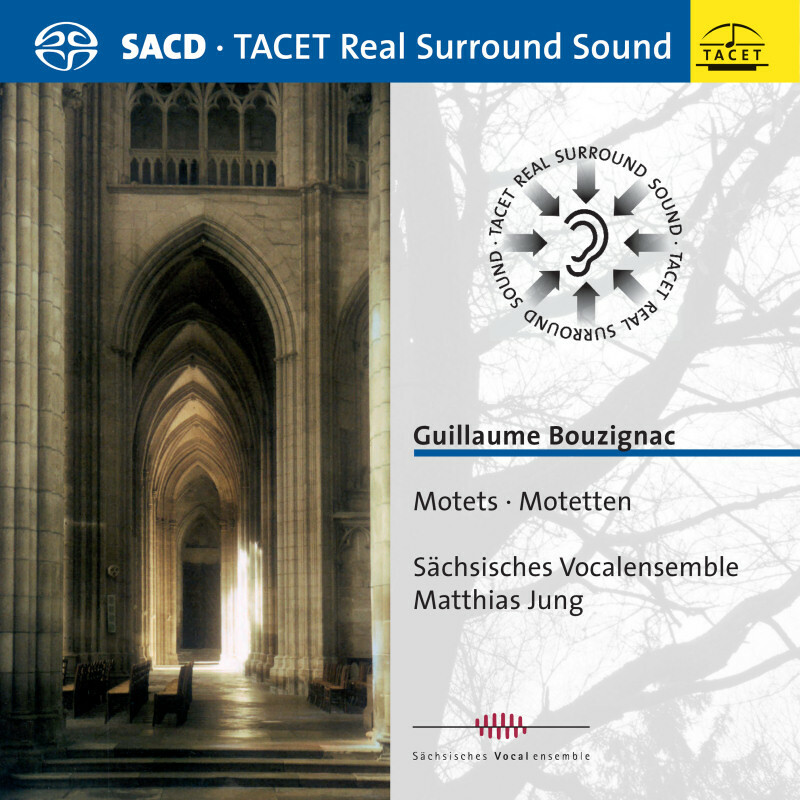 As for the recording technique, well, with Tacet there’s not much to say! Timbre and dynamics are of a great level and the final outcome is extremely enjoyable. The technical execution is very good even if, being a drummer, I think that classical music many times is not precise in the speed and in the measure. There are few Directors that can direct an orchestra with the precision of a metronome, Von Karajan is surely one of them. Moreover the Bolero, with its constant and regular gait for more than 15 minutes is an extremely hard test for the percussionist that has to start slowly and delicately to increase the pace constantly without losing the rhythm or accelerate. There is an extreme need of concentration to be aware every second of the exact score position of the pattern played to avoid to perform as a solo player, separate from the rest of the orchestra. Or even worst to follow the orchestra instead of leading it. This is something that sometimes happen with a poor result indeed. Well, apart from some vagueness from this point of view, it is a record that one must have both for the execution and for the peculiar technique used for the vinyl. On the website catalogue we have discovered another Tacet vinyl recorded backwards. 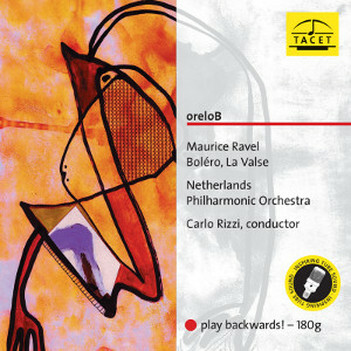 There are more pieces of music by Ravel performed by the same orchestra directed by Rizzi. We must buy this one too before it goes sold out. In the meantime watch the video that we have recorded to let you see how it works!